Earth’s magnetic field keeps weakening at a faster rate. Should we be concerned? After I read this article and all the dire predictions I had to ask myself if the flipping of the earth magnetic poles has happened before? If so why are we alive? Why hasn’t the earth atmosphere and the oceans been swept away already by unchecked solar winds? I don’t mean to attack the author. Just asking questions. I became more interested in the impact of reversals after reading Robert Felix’s book on Magnetic Reversals and Evolution. The inhabitants of North America should certainly be worried. First thanks for the information, my knowledge is very weak in this area. What is the impact of large areas of decline and other areas of intensity? Will more cosmic rays be more prevalent over North America? Spaceweather has measured an 18% increase in CA since the beginning of 2015. A low geomagnetic cutoff over North America means more ionization by secondary galactic radiation. The strongest ionization is in the lower stratosphere from 10 to 20 km. Higher ionization in the lower stratosphere causes an increase in temperature in this layer and ozone sinking into the troposphere. Ozone coming from the north brings waves of dry Arctic air to the south. The magnetic sun dipole also weakens. The effect of these changes are changes in the jet streams. The ENSO cycle will be disturbed. 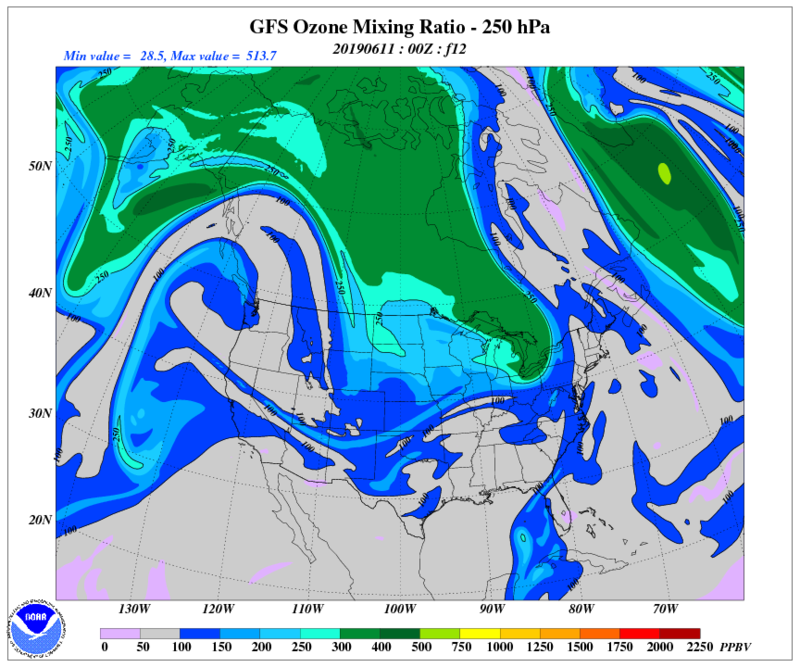 This will cause water vapor to fall at high latitudes. 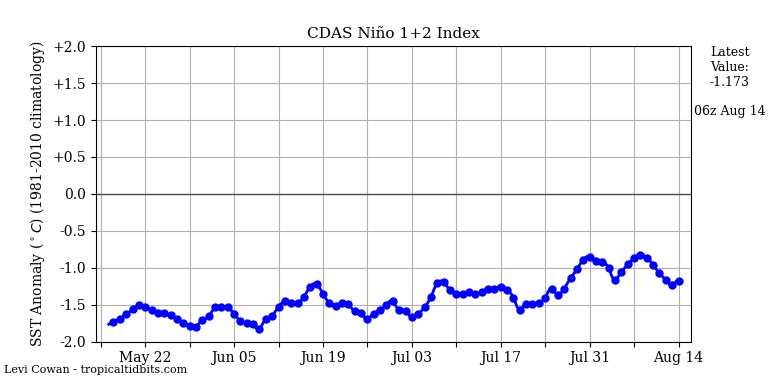 Proof of the disturbance of the ENSO cycle are temperature jumps in the tropical eastern Pacific. Circulation over North America is close to the conditions of La Niña. The coincidence of weakening magnetic fields of the Sun and of our Earth even for a single-short period might be a major threat for the life on Earth. Contrary to appearances, ionization of living cells will increase. Present measurements of our planet’s magnetic field show it may vary from 30 µT up to 60 µT in most places on Earth with the exception of the zone of South Atlantic ‘Anomaly’ SAA which lies in the range 22 µT — 28 µT (south and central zones of Brazil, north of Argentina, Uruguay and Paraguay). In North America it lies in the range 34 µT (Florida) — 60 µT (north of Canada). It reaches 63 µT over the sea at west of New Zealand and south of Australia. The last peak of the magnetic field values happened around the yrs. 1650-1700 (during LIA) and they are continuously decaying ever since. By that time the weakest point of Earth1s magnetic field was the center of the SAA which was then placed on the western coast of Africa and its value was possibly above 33 µT. For those whom might be interested in analyzing the effects from the decay of Earth’s magnetic field I suggest the following paper and particularly the results shown as figures on page 11.